The rise of the machines could leave a third of the population out of work. That's according to Dr Subhash Kak, a computing expert at Oklahoma University, who claims AI and self-driving cars will lead to mass unemployment. He also warns that as robots take control of the world, humans will slip into a life of 'meaningless' misery. Dr Kak, a professor of electrical and computer engineering, believes we are heading for a dystopian future with mass unemployment. He told the Daily Star Online: 'I think we are nearly there. 'It has been estimated that one third of the people in any advanced economy are engaged in transportation. The technology for self-driving cars is steadily becoming a reality. 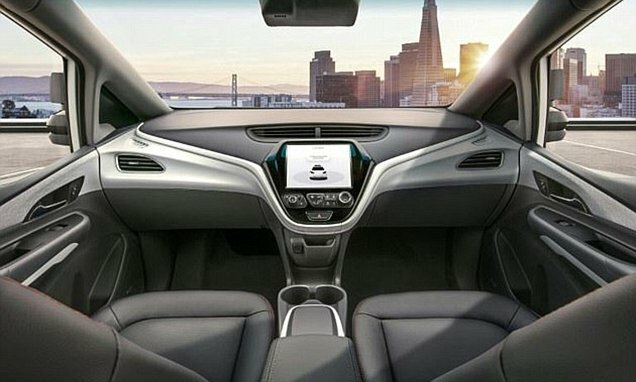 Just this month, General Motors asked the US government for permission to trial cars on the road in 2019 that have no steering wheel or human back-up driver. As well as self-driving cars, AI and robots are making an impact in all business sectors. 'Why would professors like me be needed if the lectures of the best instructor in the world are recorded and made available on the Internet? 'Department stores are closing because they can't compete with Amazon where the orders are filled by robots in the warehouse,' Dr Kak said. Previously, the robotics expert claimed that human lives will become miserable and 'meaningless' as automation puts people out of work. 'The beginnings of the dystopia are already there. This is already happening, he said. A separate report from a New York company claimed last year that 800 million workers could be replaced by machines by 2030.